North Toronto is the central neighbourhood of the North Toronto region of the megacity, which was formerly the City of North Toronto, before amalgamation. It extends from Bayview Avenue to the west to Yonge St. to the east, and from Eglinton Avenue to the south to Blythwood Road to the north. Yonge and Eglinton is also included in its borders. 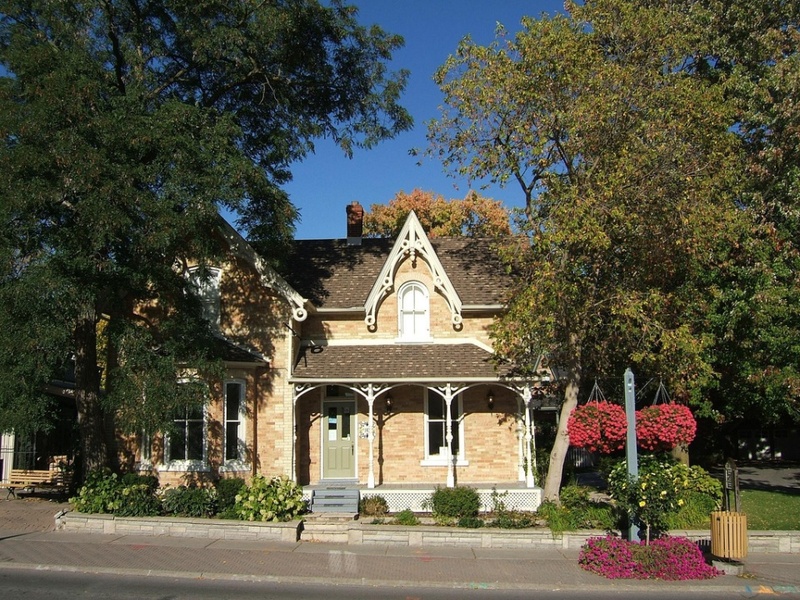 In 1889, the villages of Davisville and Eglinton formally united to create the Village of North Toronto, which became the “Town of North Toronto” a few months later on April 7, 1890. The town began as an agricultural farming community with a population of 1,000 and slowly developed around three crossroads on Yonge Street at Davisville, Montgomery, and Bedford Park Avenues — especially when the Metropolitan Street Railway made North Toronto the northernmost stop on its five-cent line from downtown Toronto. While the Town of North Toronto was evolving into a sought-after commuter suburb, municipal services were so unsatisfactory that its residents voted in favour of annexation to the City of Toronto on December 15, 1912. After the annexation and by the 1940s, the Town of North Toronto was thriving and is now one of the most sought-after commuter suburbs. The town hall, originally built for York Township and purchased by the Town of North Toronto in 1891, was located in North Toronto until it was demolished in 1931. 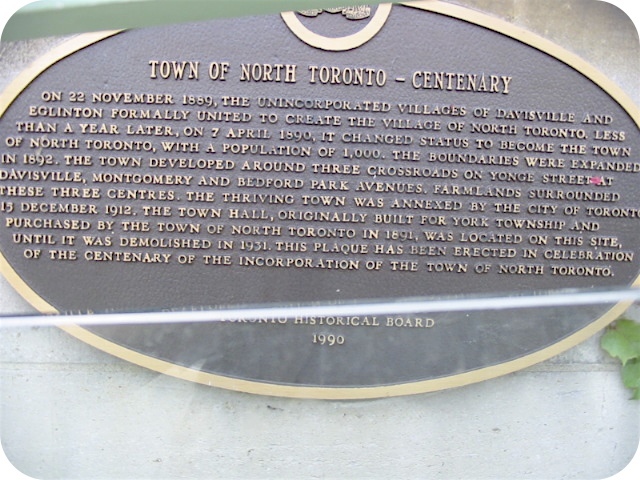 At 2398 Yonge Street, there is a 1990 Toronto Historical Board plaque that tells the story of the Town of North Toronto. What you find the most in North Toronto are well maintained bungalows, as well as semi-detached and fully detached houses, built mostly between 1910 and 1940. From luxury condominiums to affordable co-ops, North Toronto also contains a large number of low- and high-rise apartment buildings centred around the Yonge and Eglinton area. The area features a wide range of rental opportunities, as many residents come and go all year long. 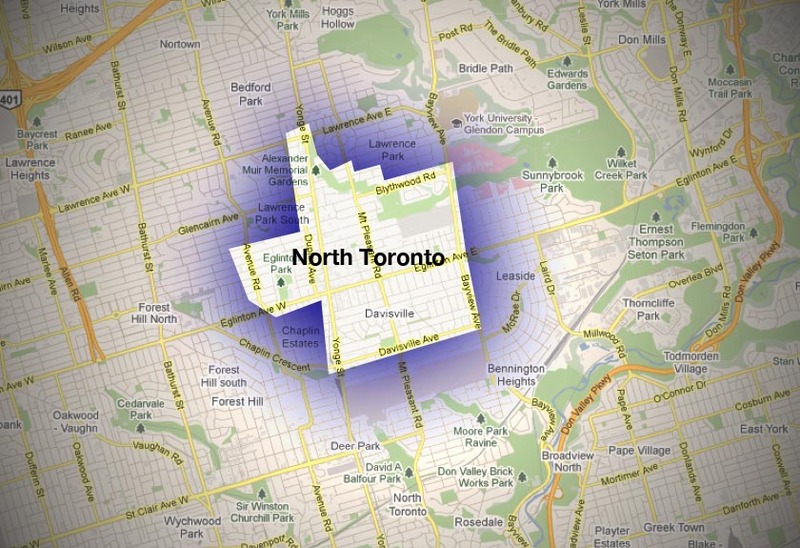 The population of North Toronto is comprised of families (with one kid on average) and single persons alike, between 20 and 45. English, Irish, and Scottish are the predominant ethnicities. According to statistics, your North Toronto neighbour most likely owns a cat and reads nature magazines. 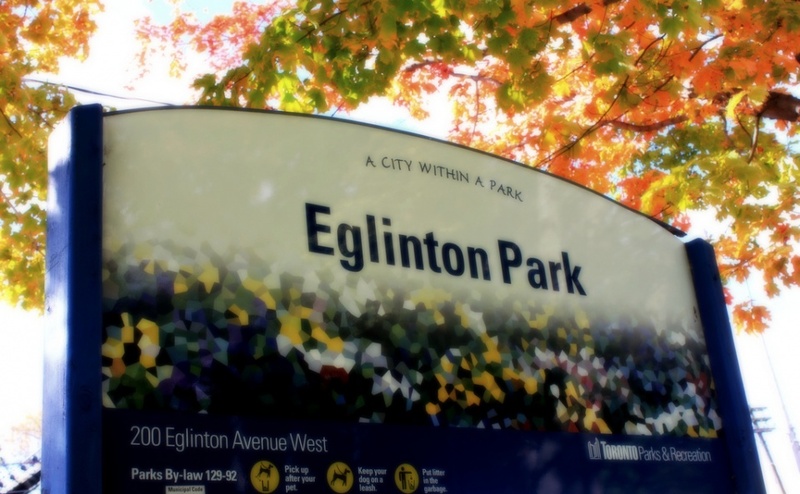 A few blocks west of Eglinton Subway Station are the Eglinton Park sports fields. They feature a baseball diamond, soccer fields, a wading pool, a children’s playground, and tennis courts that become an artificial ice rink in the wintertime. Located east of Mount Pleasant Road, Sherwood Park boasts a picturesque children’s playground and a wading pool. 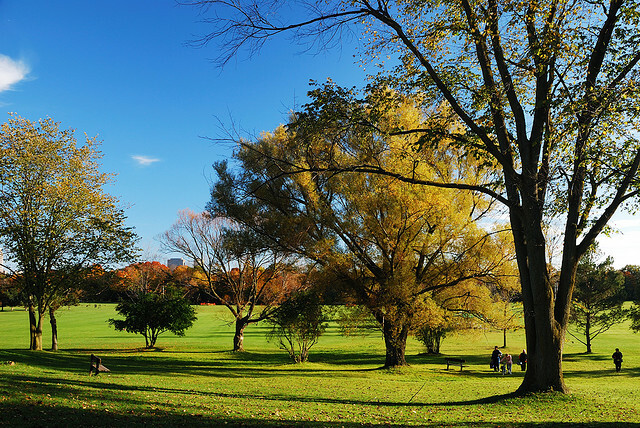 Take the park’s path and enjoy some of the oldest and largest trees in the city. Located at 28 Fairlawn Ave., just west of Yonge St., the Fairlawn Neighbourhood Centre has attracted more than two thousand members and become an excellent hub for North Toronto residents, thanks to its wide variety of programming for kids, teens, and adults. 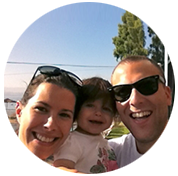 From yoga and ‘mom & baby workout’ to drama classes and parenting programs, your whole family can find their favourite activities here! Located on Eglinton Avenue is the North Toronto Community Memorial Centre, which is a sizeable recreational centre that appeals to all tastes. If you love swimming, there are indoor and outdoor pools, and if you are coming with your kids, the water slides will keep them active. For fitness enthusiasts, the centre includes a gymnasium, squash courts, a walking track, a cricket ground, and exercise rooms. Among the facilities, there is also an indoor skating rink. Located at 160 Eglinton Ave E, CECC may be small, but it is well-maintained and offers a large variety of programs, ranging from kids classes to art classes, literacy and computer courses, and much more. Yearly family memberships are especially cheap. Toronto Ukrainian Festival, 2336 Street W, (416) 410-9965. Dancers, vocalists, musicians, vendor kiosks with delicious, authentic Ukrainian food and beverages, beautiful souvenirs, and interactive pavilions all celebrate the Ukrainian spirit at North America’s Largest Ukrainian Street Festival. Experience Ukrainian culture and hospitality at its best, and, if you wish, join the dancing! The neighbourhood is well served by commercial strips on Yonge Street, Mount Pleasant Road, and Bayview Avenue, where local residents patronize an interesting diversity of shops and restaurants aimed at the local market. 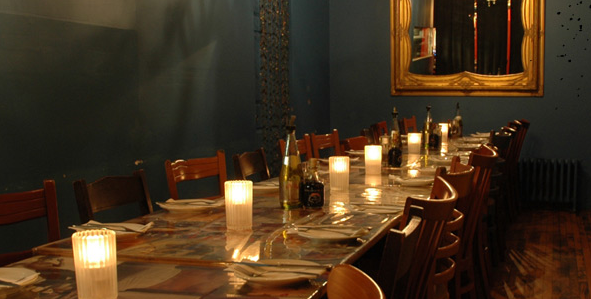 Mixed with the local shops, you can also find international chain stores, if this is your thing. Just walk around and entice yourself with the eclectic assortment of boutique stores, bakeries, spas, and many other services offered. 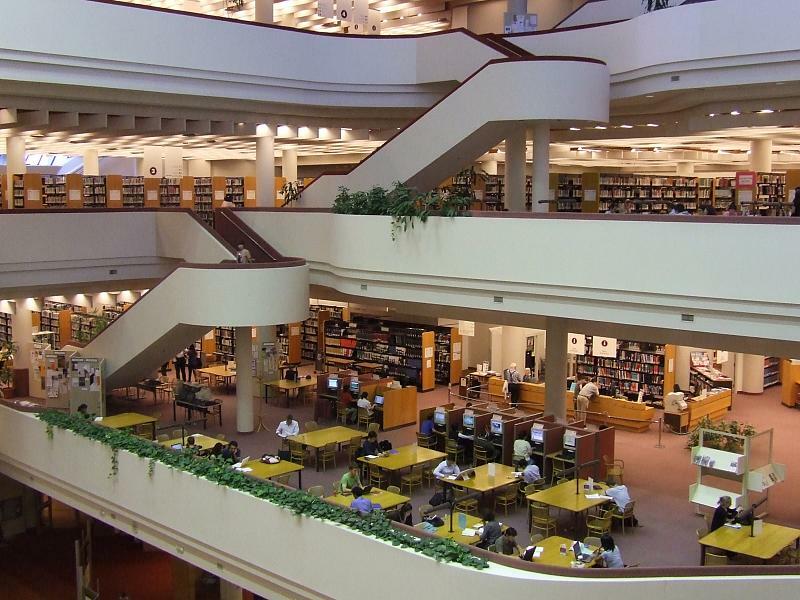 The renowned interesection of ‘Young and Eligible’ is part of the North Toronto neighbourhood, too. The Yonge and Eglinton corridor is full of bars, restaurants, nightclubs, and movie theatres and draws a young, professional crowd that inhabits this area. Even more unique and appealing than Bloor-Yorkville, this mainstream area of North Toronto is vibrant round the clock. The hot spot of Yonge and Eglinton is the recently renovated and expanded Yonge Eglinton Centre complex, which includes a shopping mall, multiplex cinema, and both office and residential towers. If you enjoy indoor shopping or a night out for dinner and a movie, it’s all here in the Centre! 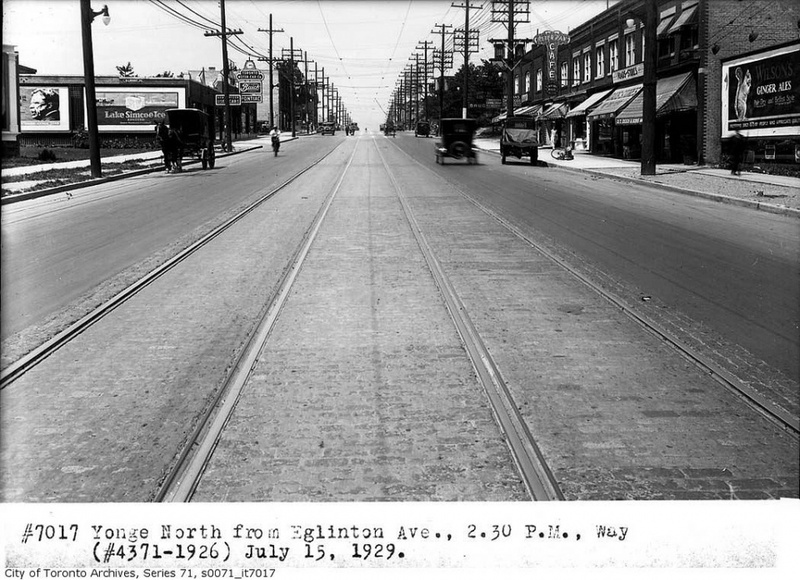 By Bus & Subway: North Toronto has bus routes on Eglinton Avenue, Mount Pleasant Road, Yonge Street, and Avenue Road. All of these surface routes connect to Eglinton station on the Yonge-University-Spadina subway line. By Car: Motorists can be downtown in ten minutes. 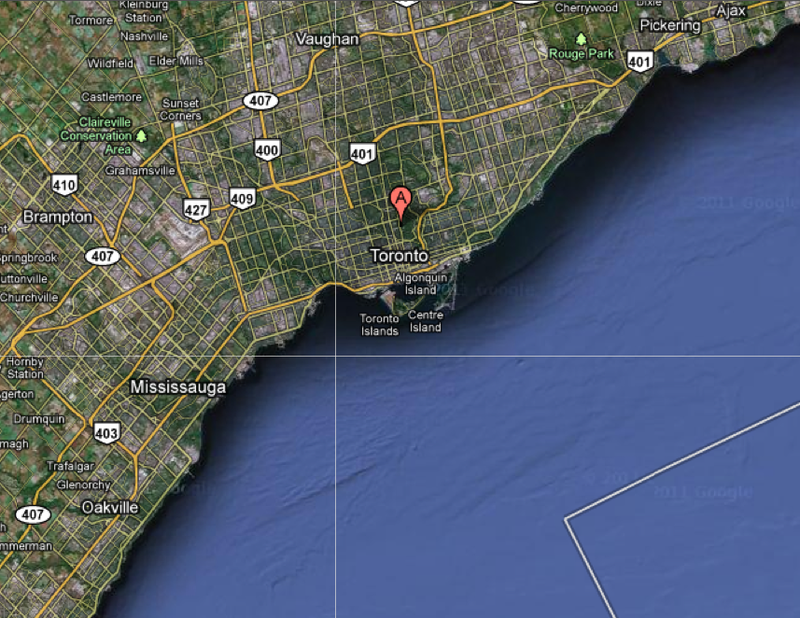 Highway 401 and the Allen Expressway are both approximately ten minutes from North Toronto.